As the government’s stance on rooting out bogus self-employment continues, companies engaging a genuinely independent workforce need to be aware of the serious consequences of employee misclassification. Depending on who you listen to and what their agenda is, there are estimates that bogus self-employment is costing the exchequer anywhere between €75m and €300m a year. However, these figures are based on the amount of ‘lost’ Employers PRSI. They don’t take into account that employees earning less than €18,000 per year don’t pay any PRSI themselves, while their freelance counterparts pay a minimum of €500 and then 4% on everything over €12,500. The figures also don’t account for the fact that Professional Contractors typically earn more than employees. If we assume that a Professional Contractor earns (say) 20% more than an employee doing a similar job, then based on earnings of €70,000, a Professional Contractor will pay over €6,000 more in taxes and PRSI than their employed equivalent. All that said, there is still merit in protecting the vulnerable from bogus self-employment, but the approach needs to change. While some misclassification is unintentional due to lack of understanding about regulation, it is unfortunately adopted as a business strategy by irresponsible employers to deliberately reduce employment costs. This small cohort has led to the authorities ‘addressing the issue’ by taking a sledgehammer to crack an egg. 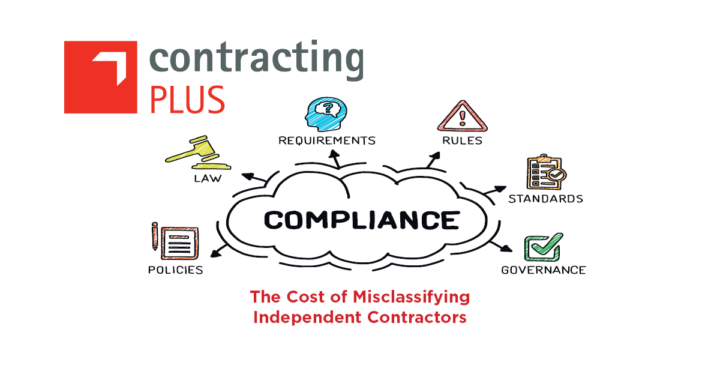 In their zealousness to protect the vulnerable unskilled worker, they are pushing to reclassify bona-fide Independent Professional Contractors as employees, and in the process handing out hefty tax liabilities. Smart companies will always have a core set of employees and will engage Independent Contractors on an ad-hoc basis for specific projects or repetitive non-core tasks. This makes smart business sense if there is not a requirement for a permanently placed employee. The authorities need to recognise the difference between skilled and unskilled contractors and appreciate that the skilled contractors are a growing cohort of workers in our society. The simplest thing you can do suggests Sheehan, is review your policies and procedures for engaging Independent professionals. Doing this correctly is not difficult once you know what to do and it will stand in your favour. “Last year in one week almost 1000 workers in Dublin were approached in their workplace by authorities. On another occasion over 150 workers were approached in one day in Galway”. Your business could well be next. How comfortable are you that your Independent Workers will pass the text (remember, having a contract in place with them means nothing from a tax and social insurance perspective!). In closing, Sheehan notes that genuine and purposeful misclassification of workers truly affects everyone – the business, the worker and the government. Professional Contractors operate in nearly every sector of the economy from IT, banking and financial services, to engineering, life sciences, and business consultancy. They are a valuable resource to Ireland Inc. and should be protected and not pilloried under the guise of lost tax revenue.